Not exactly my style but there is something very attractive about the sheer volume of books packed into this room. It’s also warm and bright which makes it very inviting as well. 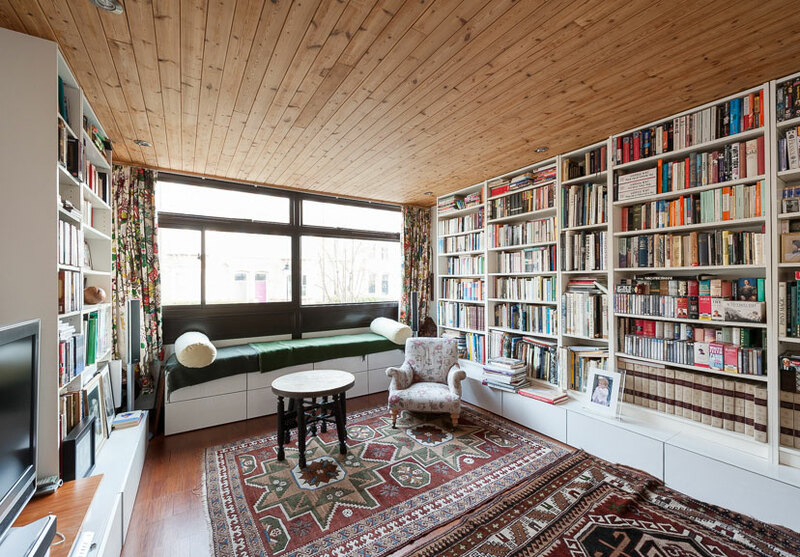 Yes…very attractive…I see what looks like several Penguin paperbacks…a set of old encyclopedias…and the other criteria met is the abundance of good light to read by and inviting seating! 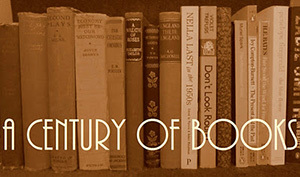 Love the books but not much else, sadly. I find the wood ceiling oppressive, and dark green for the window seat isn’t my favourite colour, either. Also the rugs are so ‘busy’ they’d give me a headache. The chair looks reasonably comfortable (although quite small) and the table isn’t quite large enough for a spread of books/magazines/flowers/coffee/biscuits. The very dark window frame is also oppressive, but maybe the view makes up for this room’s shortcomings. Not one for me, I’m afraid. The ceiling looks as though it should be the floor! I like everything else though.